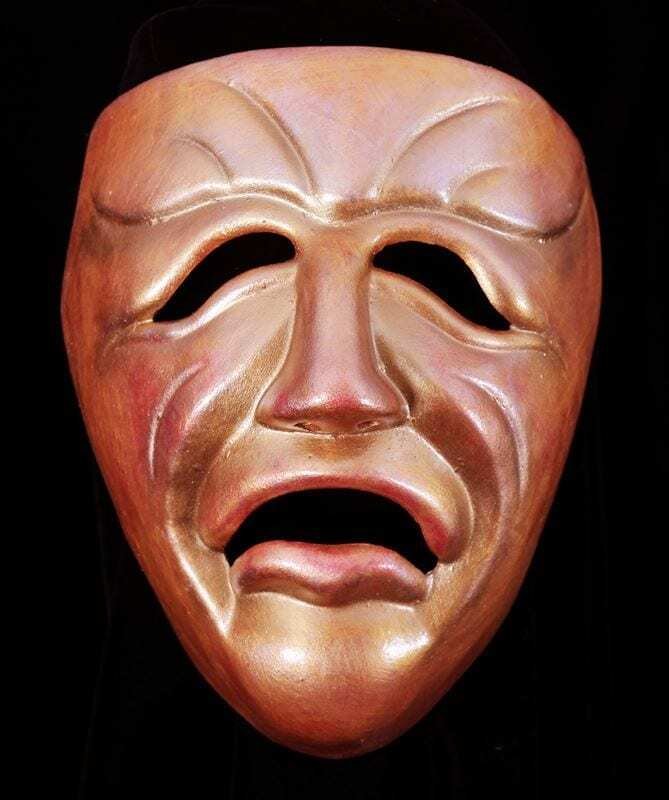 The decorative Tragedy Mask is part of a pair that includes the Comedy Mask its counterpart or counter mask. The Comedy and Tragedy masks are almost always seen together. They are symbols for the ancient Greek Muses and have been associated with Janus the two faced God of beginnings, doorways gates and passages. This mask expresses loss and sadness. These two masks symbolize that the extremes of life are always passing. As the Dali Lama says, “this too shall pass.” The good times pass and the bad ones as well. Seeing these masks together is constant reminder that every moment is to lived to its fullest as we move into the next.